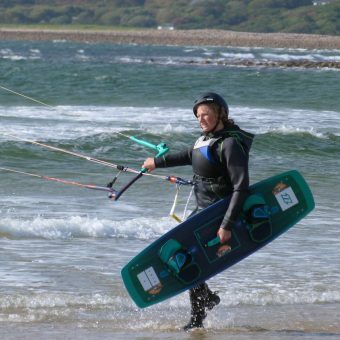 Whether you’ve recently caught the kitesurfing bug or had it for a while now, our supervised kit rental facilitates you getting those hours on the water needed to progress even further with the sport. The full season rate is as little as £80 per month, payable upfront for 7 months from April 1st through to October 31st, and will give you limitless supervised Kitesurfing equipment*. Other benefits include; Use of the latest North equipment; Peace of mind that our team are looking out for you; More hours on the water for less money; Discount on private tuition and coaching sessions; discount on kit rental on our holidays; Use of Easybeach facilities and BBQ. This is an amazing opportunity to enjoy every moment out on the water that you can spare without having to pay every time, saving you money, and giving you the chance to try out a range of different kite and board models. *Please note this is all subject to availability & booking during business opening hours, you can only book 1 session a day either am or pm, if no-one else booked for a session on the day you can book for both am/pm. †Hire scheme must be booked for a minimum of 1 month, otherwise the hourly rate of £25ph applies. The minimum amount refers to the full season April to Oct at £560 payable upfront.